The LRUZ offers an economic alternative for those applications requiring a sloped hanger for rafter-to-ridge connections. 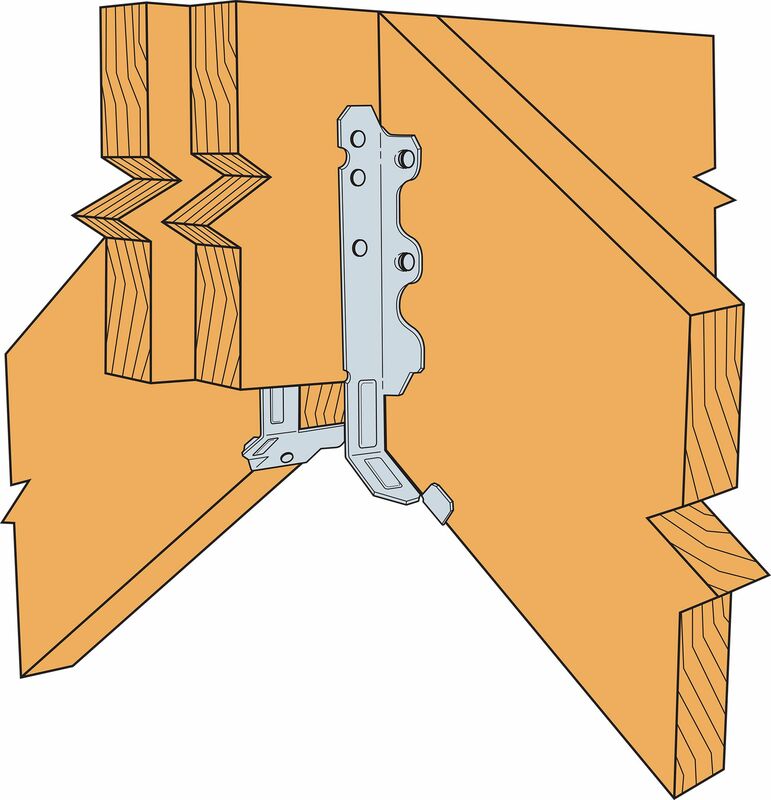 Used with solid sawn rafters, the LRUZ’s unique design enables the hanger to be installed either before or after the rafter is in place. The field-adjustable seat helps improve job efficiency by eliminating mismatched angles in the field and lead times associated with special orders. 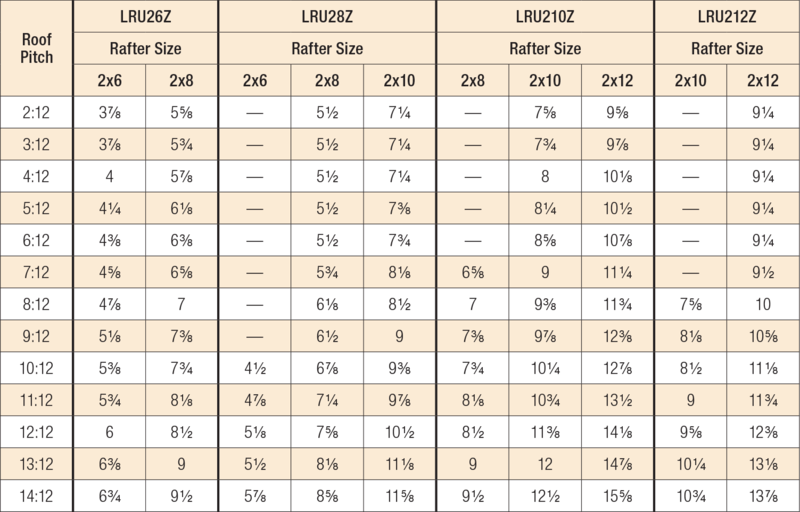 The LRUZ offers comparable or better load capacity to other rafter hangers at a reduced cost while using fewer fasteners. The open design and ability to field-adjust the slope make the LRUZ ideal for both retrofit or new applications. Accommodates roof pitches from 0:12 to 14:12. Slopes up or down to 45° (12:12). For downward slopes greater than 45° up to 49° (14:12), allowable downloads are 0.85 of table loads. For added versatility, the fasteners on the face of the hanger are placed high, enabling the bottom of the rafter to hang below the ridge beam (see “Max. C1” dimension in Standard Installation table). Can be installed using nails or Strong-Drive® SD Connector screws. 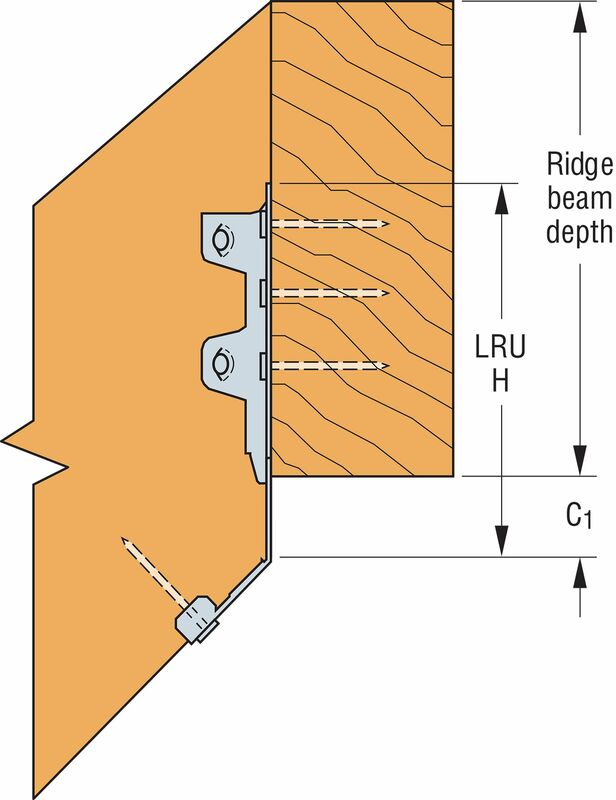 Minimum ridge beam depths shown assume that the rafter and the ridge beam are flush at the top. Minimum ridge beam depths have been determined to ensure the maximum C1 dimension for the LRU is not exceeded. Deeper ridge beams may be required to support the rafter loads as determined by the Designer. Per the 2012/2015/2018 IRC Section R802.3 the ridge is required to be not less in depth than the cut end of the rafter unless the ridge is designed as a beam. Slopes greater than 12:12 are download only. Allowable loads are based on a minimum 3" carrying member. For single 2x carrying members, use 0.148" x 1 1/2" nails in the face and 0.148" x 3" in the joist, and reduce the allowable load to 0.81 of the tabulated value for 0.148" x 3" nails. Alternatively, use #10 x 1 1/2" Strong-Drive® SD Connector screws in the face and #10 x 2 1/2" SD Connector screws in the joist as shown in the table. 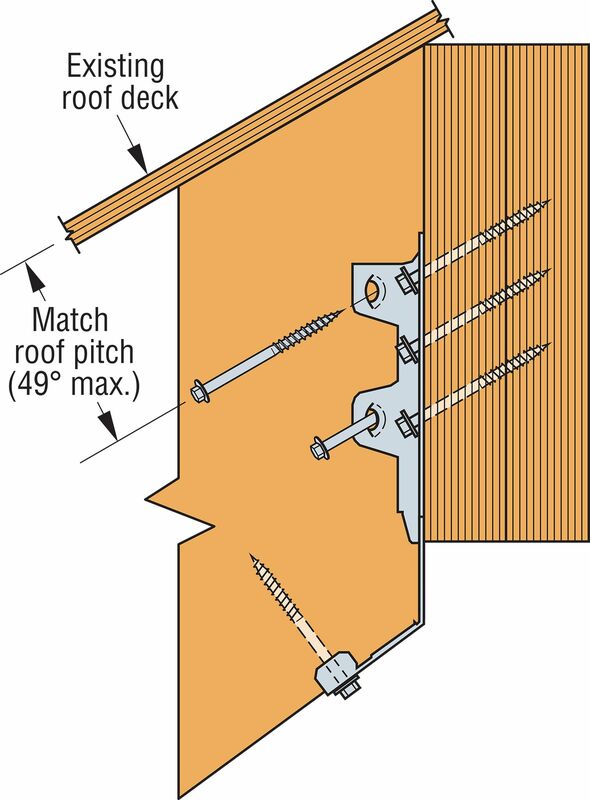 When an existing roof deck prevents the horizontal installation of fasteners, #10 x 2 1/2" Strong-Drive® SD Connector screws may be installed sloped upward to match the roof pitch (49° max.). Use table values for an installation with 0.148" x 3" nails when Strong-Drive SD Connector screws are sloped. Nails may not be installed sloped upward. Allowable loads are based on a minimum 3"-thick carrying member. Fasteners may be angled upward a maximum of 49°. LRUZ See specific model numbers for code listings.